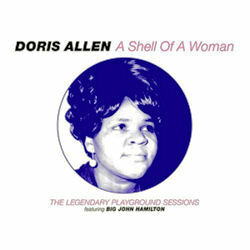 This is a collection of all Doris Allen's recordings, including 11 previously unreleased tracks. She was a great singer having passed away in November 2007, without having archived any great recognition for such a fine soul singer. She had some success on Minaret records with A Shell Of A Woman in 1969, Them Changes a stomping duet with Big John Hamilton and four others are also included here. Check out Candy From A Baby recorded in the 80's. Very nice package with notes by Paul Mooney. Issued on Soulscape SSCD 7012.